The 1973 film American Graffiti is George Lucas's love letter to the 1950s and his home town of Modesto, California. 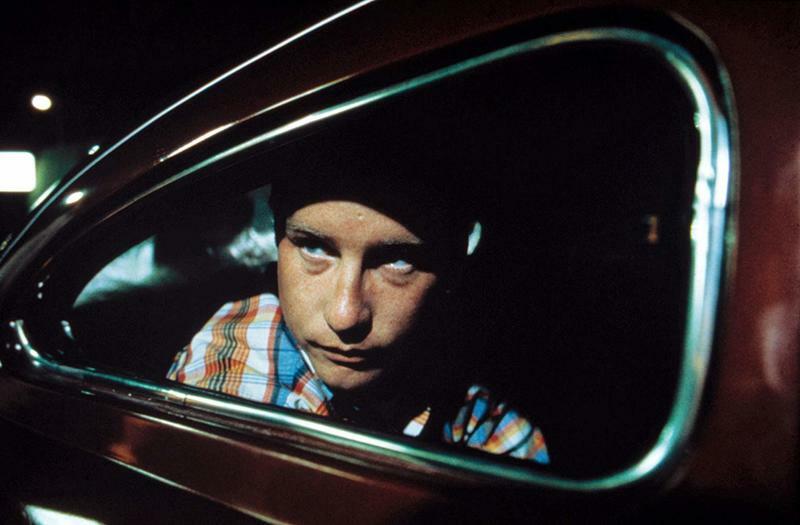 Before he was a director, Lucas spent his nights drag racing through the streets of Northern California, and his nostalgia for his youth is on display in every frame of this film. Making American Graffiti, as George Lucas himself would tell you, was no easy task -- he didn't even really have a star to build the movie around, as Ron Howard was still best known as Opie from The Andy Griffith Show. 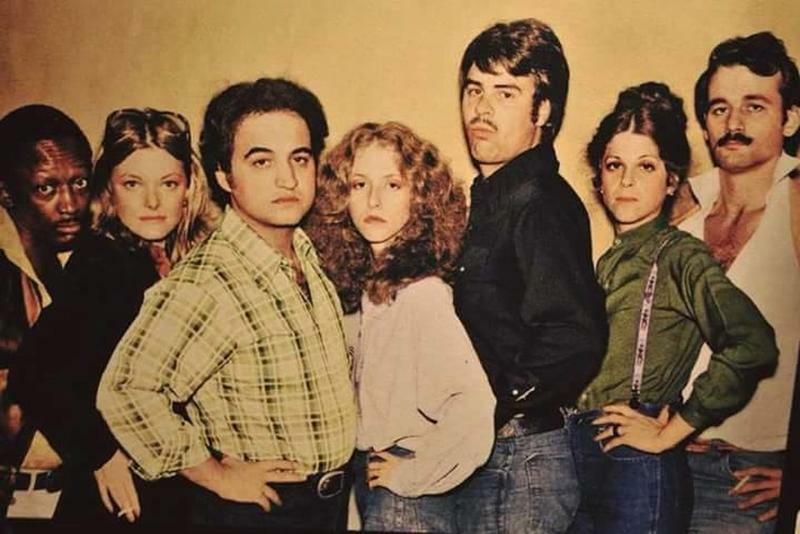 Howard's co-stars Richard Dreyfuss, Cindy Williams, Harrison Ford and Mackenzie Phillips were hardly the household names they were soon to become. But when all was said and done, George Lucas's American Graffiti paved the way for Lucas’ next film, Star Wars Episode IV: A New Hope. Keep reading to find out how the movie that helped turn George Lucas into a Hollywood heavyweight almost didn’t get made, and just what the cast and crew had to go through to put this story of growing up, leaving home, and rock and roll on screen. 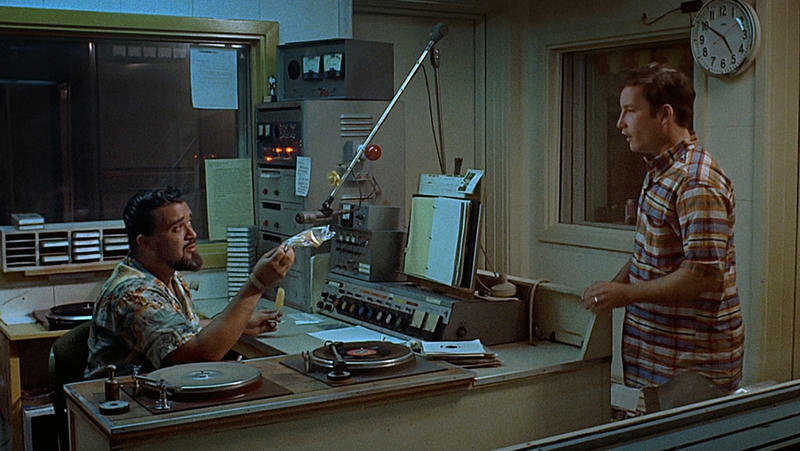 In hindsight, American Graffiti seems like a home run for a production studio. It’s a low budget film that focuses on (mostly) unknown actors and it doesn’t require any special effects. It’s an inexpensive movie with a nascent director, so why didn’t anyone want to make the picture? 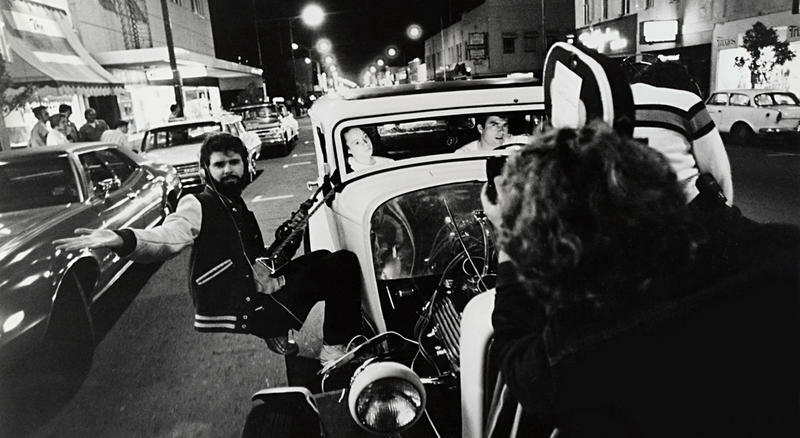 A script and a treatment for American Graffiti bounced between United Artists and Universal Studios for nearly a year before Francis Ford Coppola, fresh off directing The Godfather attached himself as a producer. After he came on board, Universal was game to pay for the film. Almost every studio in town turned down the first draft screenplay after United Artists, which developed it, decided to pass. They couldn't visualize the movie from the script and no one had faith in us. Without Francis the movie would not have been made. 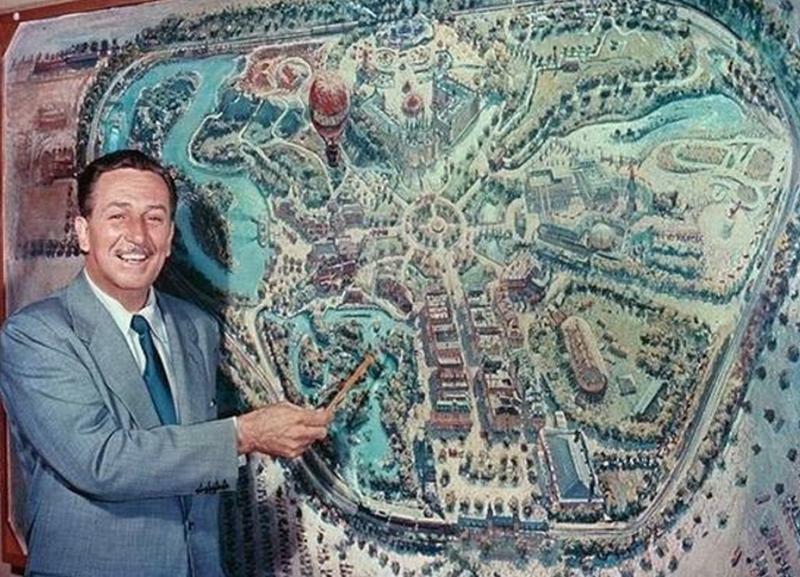 Universal VP Ned Tanen was the driving force at the studio, which was flexible and cooperative throughout. 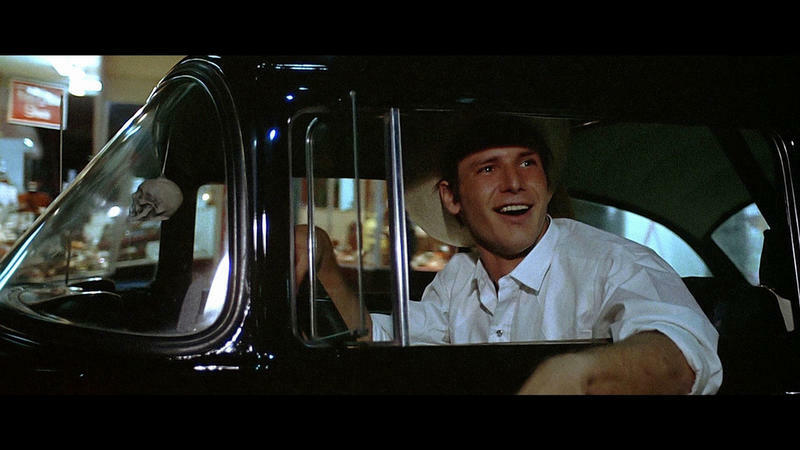 Even if you’ve only seen American Graffiti once, the film’s actors stick in your mind -- like a piece of old gum clinging to the bottom of a cafeteria table, they’re not going anywhere. But at the time, everyone involved except for Ron Howard was a relative unknown. Lucas along with casting directors Fred Roos and Mike Fenton saw nearly 150 actors to see who fit together. 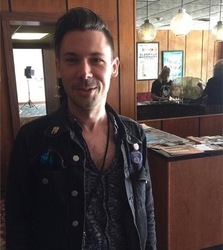 In the film’s making-of documentary, Lucas said that he saw the prospective members of the cast in groups before whittling them down to a smaller group that he filmed on videotape before whittling the groups down even more and filming test footage with them on 16mm. From there, he had his cast. It was really the first film to have wall to wall classic rock soundtrack, something that set set a precedent and is fairly common today. Such that now you have a credit for somebody on films called “Music Supervisor” and that’s their responsibility. Well this position didn’t exist at that time and George [Lucas] really created it and he really did it himself. To determine which songs he’d use in the film Lucas used his sister’s 45 record player and a stack of records from the late 1950s and early ‘60s to choose from. Lucas says that he wrote specific scenes to go with specific songs. Before he was Han Solo, Harrison Ford set the screen on fire in the role of Bob Falfa, a drag racer who’s looking for trouble while wearing an iconic white Stetson. The cowboy hat almost never made it to screen because George Lucas wanted Harrison Ford to cut his hair into a flat top, which is what it would have been in the 1950s. Ford didn’t want to cut his hair so he and Lucas struck a compromise -- rather than cutting his brown locks Ford would wear a cowboy hat. The new look worked and it’s become one of the most iconic hats in film history. Towards the end of the film, Bob Falfa finally gets a chance to race John Milner, the town’s king of drag racing. It’s a tight race, but when Falfa blows a tire his car flips into a ditch and explodes. Falfa barely escapes with his life, and it turns out that this wasn’t a plot point that was drummed up to infuse more drama into the scene -- it was, as they say, based on a true story. Growing up in Modesto, George Lucas was apparently very into his local drag racing scene. So much so that he thought he was going to be a race car driver after high school. During one race he flipped his car and nearly died, prompting him to go to film school instead. 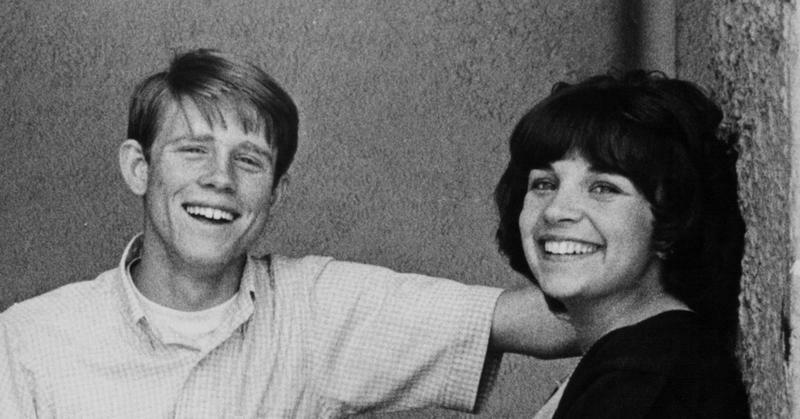 One of the biggest scenes in American Graffiti occurs at the high school sock hop while Steve and Laurie break up and make up over Steve’s desire to leave Modesto and her need for him to stay. Because the film was shot on such a small budget none of the 300 background actors in the film were paid - and that includes the four hours they spent rehearsing their dance moves with Toni Basil. In order to keep them entertained, the production hosted raffles between takes where Ron Howard went on stage to give away door prizes to some of the teens who stuck around. Supposedly every time he went on stage the Andy Griffith theme song was played. When you’re making a movie today, there’s someone in charge of renting picture cars, but at the time that just wasn’t the case, and even if there was someone on set handling that there wasn’t a budget to rent 50 cars. Instead, co-producer, Gary Kurtz says that the production took three weeks to track down cars in order to see if they looked ‘50s enough to appear in the movie. The car owners that did make it into the movie were paid in food. In American Graffiti, we had no money – but we had to have all these cars, so we spent three weeks advertising on rock & roll radio for cars to be in this movie… cars and drivers who looked vaguely late ’50s. We had about 300 people show up, and we took a picture of the car and the driver and took their details, and each night when we needed cars we’d put out this call and call about 40-50 people, and maybe 20 would show up. It didn’t cost us anything, it was free – we just had to feed them. That was the only way we could make the production value work for the money we had, but it took three weeks of work to build that database of people to do it. George Lucas was trying to cut costs any way that he could when it came to American Graffiti. Between having to move locations from San Rafael, California to Petaluma and starting the shoot essentially a day and a half behind schedule, Lucas needed to make sure things were shot quickly and efficiently. In order to do that he hired Jan D'Alquen and Ron Eveslage, two documentary filmmakers who filmed all of the conversational scenes in tandem. 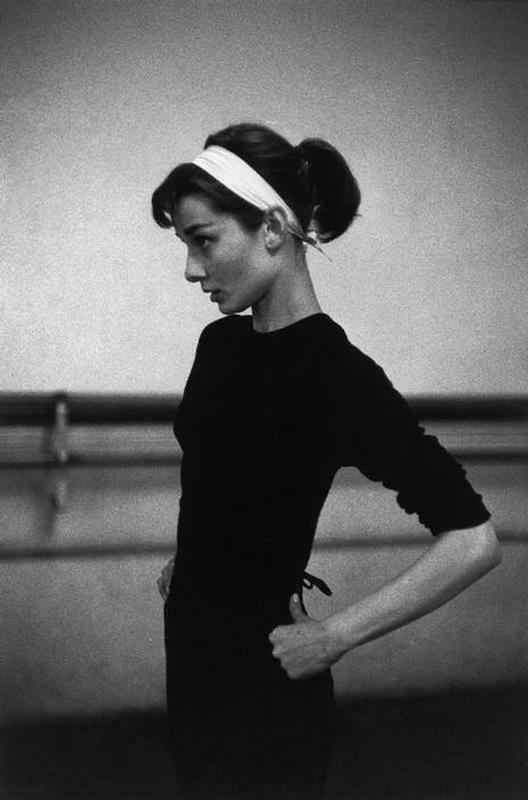 Not only does this style of filming allow for more elegant cuts, but you’re able to knock out scenes at a faster rate. While D'Alquen and Eveslage were great at run-and-gun filming, there weren’t so hot with shooting at night with available light, so Lucas brought in Haskell Wexler (In the Heat of the Night, Days of Heaven) to work as a “visual consultant” and essentially oversee the cinematography. American Graffiti is one of the most iconic titles of a film from the last 100 years. Even though it doesn’t technically describe what’s happening in the film the words still leave the idea of the film in your mind. Prior to the film’s release, Universal Studios created a list of 60 titles that they’d rather have than American Graffiti and each one of them is worse than the last. The list was printed in the Taschen book The Star Wars Archives and it’s worth checking out in full, but some of the notable stinkers are "Burger City Blues," "Reebus," "Supercola," "Last Night To Make Out," and "Make Out At Burger City." Do you think whoever came up with these was just really hungry when they put the list together? The reason we’re still talking about American Graffiti isn’t just because it’s a good movie. The film was also a huge success, and it didn’t just pave the way for George Lucas to keep making films, which would lead to Star Wars and the Indiana Jones franchise, but it also played a part in setting the template for the summer blockbuster along with Steven Spielberg’s Jaws. The film made $140 million on a $777,000 budget, which - thanks to inflation - shakes out to about $797,041,441.44 in 2019. It wasn’t just the film that made money, the soundtrack was one of the first packages of nostalgia-based tunes that tore up the chart, ushering in an entire wave of ‘50s nostalgia. The Big Chill would do the same thing a decade later -- and these days, everyone from Quentin Tarantino to Wes Anderson to the Guardians Of The Galaxy filmmakers knows the value the perfect recycled radio hit can add to a scene.